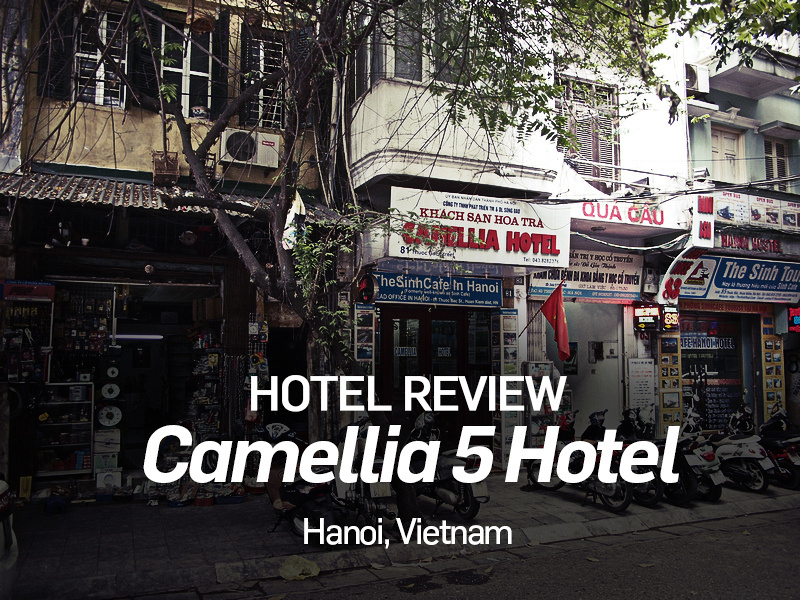 I stayed at the Camellia 5 Hotel in the Old Quarter of Hanoi, Vietnam. I booked online which worked out to $12.67 USD per night. I booked it for its price and location in the old city. The hotel is located in a metal-work street of the old city, about 10 minutes walk from the lake. After walking around some of the more touristy streets in Hanoi it was nice to stay in a street that felt more local and not over-run with souvenir shops and the like. The building is a classic Vietnamese tube house, being long and skinny. In this case the building was extra deep and my room was right down the back. The property looked old but it was well-kept and people were cleaning everyday I was there. 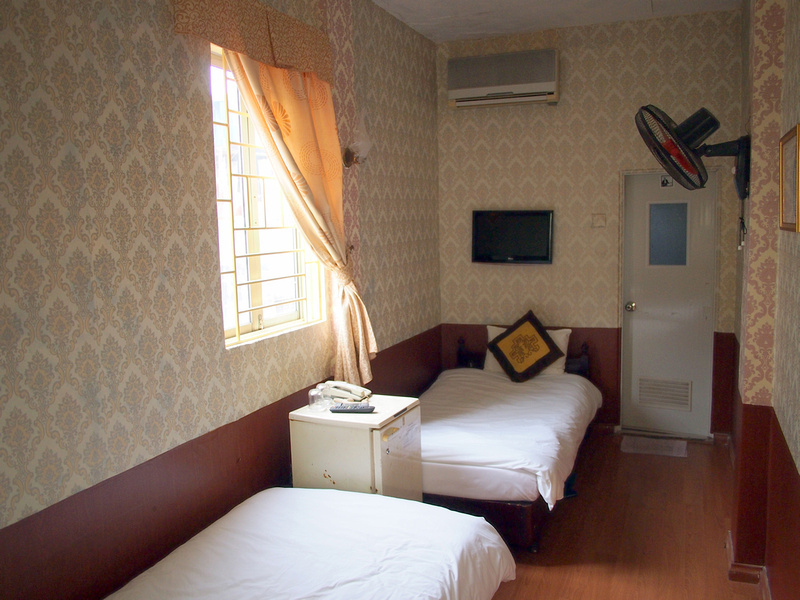 I was in a twin room, which as you can see, was long and skinny like the building. It had windows on two sides so it was bright and airy. Being winter I didn’t need the fan or air-con. 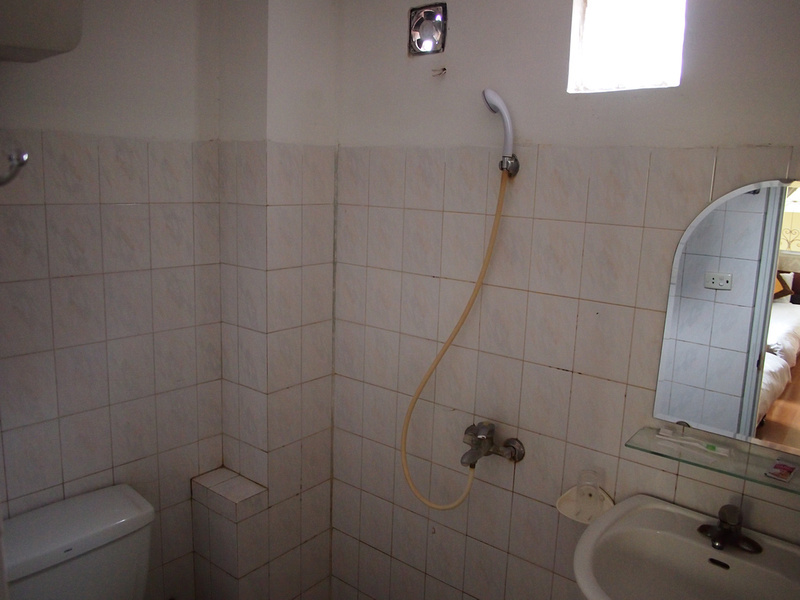 The bathroom was a bit old looking and smelled a bit musty, but it was clean and the hot water was working. There was a wifi box outside my room and I noticed boxes in different locations so it appeared to be well-wired. 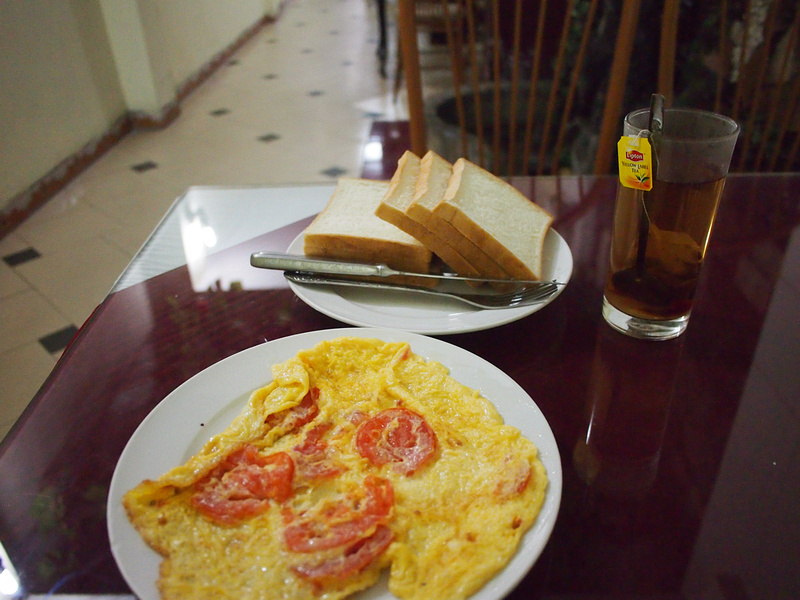 Breakfast is not included and it consisted of the usual Vietnamese guesthouse breakfast of eggs (any style) and bread, with a drink for 40,000 VND ($1.78 USD). Usually the bread at guesthouses is a crispy bread roll, so I was disappointed to be served six pieces of not very fresh white bread. Overall this was an adequate place to stay, though I preferred my stay at the Tung Trang Hotel. See details of the new Camellia 5 Hotel, or search for more hotels in Hanoi.